The Fund EcoMarket ‘SRI Styles’ segmentation system groups funds according to what they are designed to do – from an ‘ethical or SRI’ perspective. The styles group ‘ethically similar’ options together. The aim of this is to help users to recognise the key similarities and differences that exist across the sustainable, responsible and ethical investment market, so that individual investor’s aims can be met more easily. 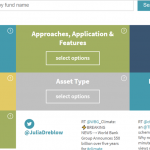 SRI Styles work on the basis that it is best to keep things simple – and to avoid industry jargon as far as possible… however for investors looking for a more precise approach Fund EcoMarket also offers additional filter options, text and links. Ethically Balanced funds combine a wide range of, sometimes complex, positive and negative ethical screening policies as part of their investment strategies and may apply ‘best in sector’ strategies – which means they may invest in most sectors. Negative Ethical funds use clear, sometimes strict and extensive, negative ‘ethical’ screens as their core strategy. They may avoid a significant number of areas on ethical grounds (eg armaments, tobacco, gambling) or may focus on avoiding a smaller number of areas. 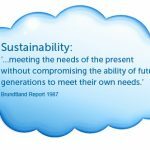 Sustainability Themed funds focus on sustainability related issues and opportunities as part of their investment strategy, often alongside ethical criteria. Their focus is often around longer term societal and environmental trends. Environmental themed funds significantly integrate environmental issues into their investment strategies, sometimes alongside ethical avoidance criteria. Their focus is often around longer term environmental and resource related issues. Social Themed funds focus on ‘people issues’ (such as employment and basic necessities of life). Social themed fund managers focus significantly on societal benefits when analysing companies for investment. Fund Strategies vary – please see individual fund entries for fund specific information. Impact Investment is an area of increasing interest to both individual investors and fund managers. The area is relatively new to the collective investment community and much work is currently taking place to assess how positive impacts (outcomes) can be delivered. 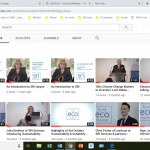 Fund EcoMarket allows users to search for funds which ‘Aim to deliver positive impacts’ and have started to ‘Measure positive impacts’ via the ‘Policies’ and ‘Features’ filter fields. A useful source of further information on this area is the GIIN. The Fund EcoMarket database lists all regulated, retail, onshore funds (plus a few related entries). The listing is therefore (as far as we are aware) ‘whole of market’ for these groups. The ESG and Responsible Ownership Fund Management Company listings are not, however, ‘whole of market’ (as we have only researched the companies we know have an interest in this area). Our DFM list is also not comprehensive as options have been added subject to our agreement. Fund EcoMarket does not (at present) list more specialist options such as pure, traditional ‘Social investments’ . (These are often interesting and very positive but commonly unregulated and illiquid – and therefore best suited to wealthier investors or portfolio managers only) . This service is provided for information purposes only. Please speak with a qualified financial adviser for further information.